Samsung is one of the first manufacturers to implement a fingerprint scanner under the screen. Our test found it to be slightly slower than the OnePlus 6T, but it’s also said to be more secure and work better when wet. It’s the phone that meets most people’s needs. 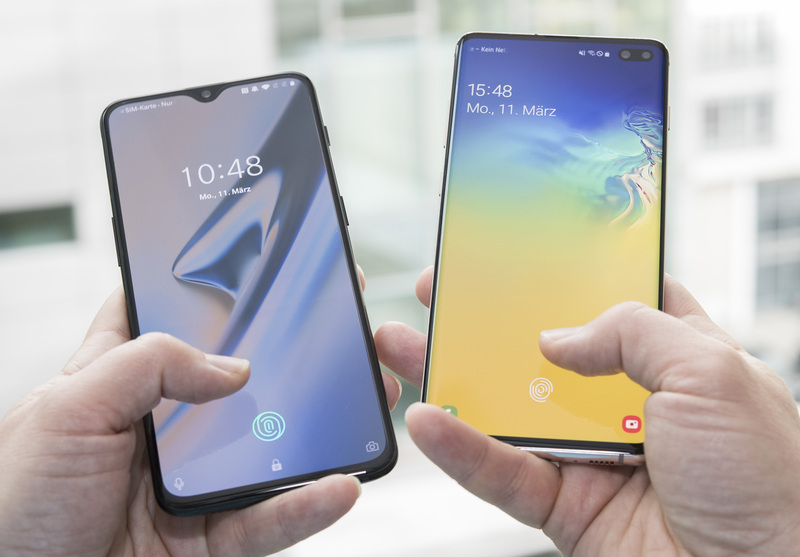 The new Galaxy S10 is an opportunity for Samsung to both beat Apple’s all-rounder iPhone and fend off the cheaper budget rivals from China. Samsung’s Galaxy-S series has always played a special role for the South Korean company. The first S models were seen as Samsung’s answer to Apple’s iPhone, so much so that they landed in a patent dispute with their US rival. But there’s no confusing the two products these days. Over time, the S series has grown into a standalone product with its own identity and hallmarks, like the signature curved edges of its so-called infinity display. Nor is Apple its chief rival any more. These days, the toughest competition comes from China. Huawei, Vivo, OnePlus, Xiaomi all run smartphones on Google’s Android operating system, which makes switching from Samsung to one of these rivals far easier. The anti-iPhone. 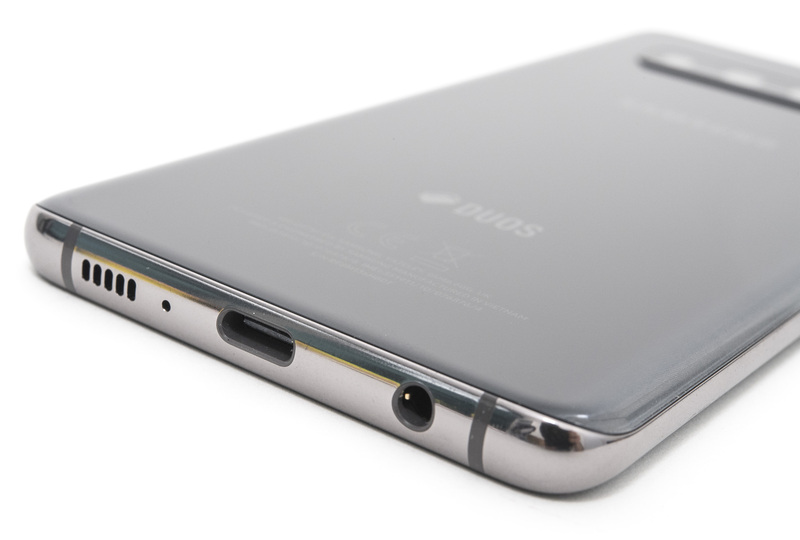 Unlike Apple, Samsung is sticking by the headphone jack in its S10 models. To ward off the competition, Samsung has designed the Galaxy S10 to meet every customer’s needs. This year it’s actually a family of phones: Next to the S10 with a 6.1-inch screen (same as the iPhone XR), there’s the larger S10+ with a 6.4-inch screen and the cheaper, more limited S10e that comes with a 5.8-inch screen and without a telephoto lens. 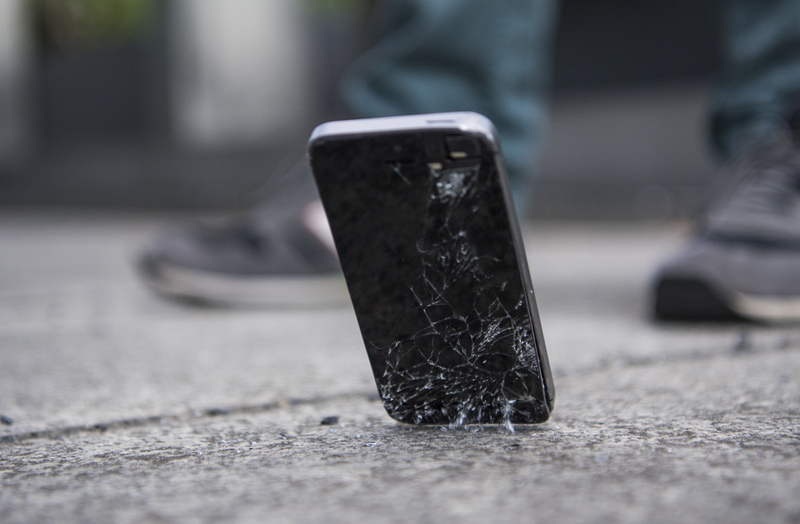 Where Apple alienated customers in modernising its latest version too quickly, Samsung has played it safer — so much so that “The Verge,” a tech blog, declared it the “anti-iPhone.” Remember the controversy over iPhone’s missing headphone jack? You can still find one on the S10. The fingerprint scanner that the iPhone X replaced with facial recognition? The S10 and S10+ have it built directly into the screen, and the S10e has built it into an off switch on the side. Fingerprint scanners built into the screen have only been available since the start of last year and are offered by very few manufacturers. Samsung also notes that the S10 uses a new ultra-sound sensor that works better than the optic offerings of its rivals, and consumer tests have shown that its sensor performs better in wet conditions, for example. To be fair, Samsung badly needs a fingerprint sensor for secure biometric identification. Unlike Apple’s FaceID, the new Galaxy model’s facial recognition software can still be tricked by using photos or videos. Other new elements include an ultra-wide angle lens on the back side. The 123-degree range should help consumers take pictures of bigger buildings or close-ups of larger groups of people. The lens is extremely efficient, but should be used with caution as the outer edges of the objects can tilt inwards with a fisheye effect. 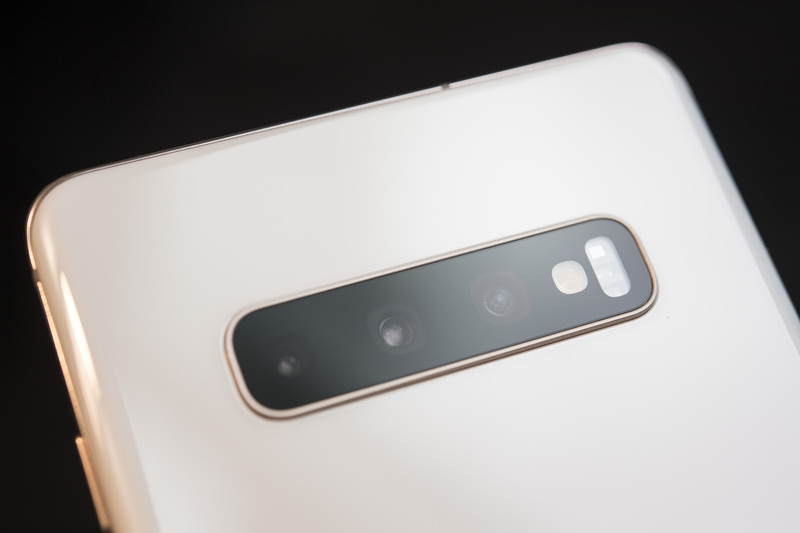 Altogether, the S10 and S10+ have three camera lenses installed on the rear, while the S10e has two. The S10 und S10+ (seen here) each have three camera lenses, one of which is an ultra-wide lens, handy for taking wide outdoor shots. Samsung has spared no camera functions, either. Photos can be tinkered with in live time, for example by bringing out the colour only in the middle of the picture and leaving the rest in black and white. There’s also a manual “pro mode” and a special foodie mode to please Instagrammers. Other functions include super slow-motion, time lapses and picture stabilisers. Another nice feature is that other Samsung products, like its new earbuds or smartwatch, can be wirelessly charged on the back of the phone, though the phone can’t really be used while you’re charging. All three versions come with the very latest technology upgrades, including the new Bluetooth 5.0 and the more secure internet connection wi-fi 6. There’s also a super-fast LTE network. 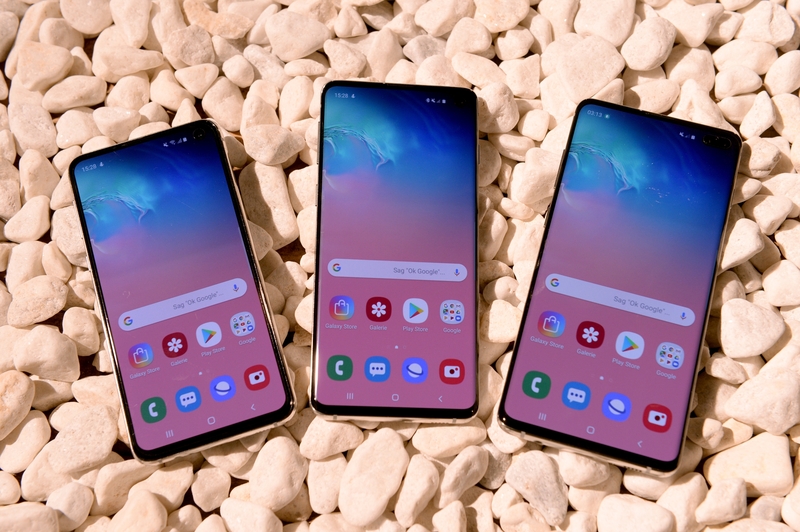 The S10 also brings Samsung and Google’s app worlds together for a rather bloated range of pre-installed apps: The phone offers both Samsung’s web browser and Chrome; Samsung’s email client and Gmail; apps in the Galaxy Store and the Play Store of Google. They’re not always treated the same — for example you can edit picture effects within Samsung’s own photo gallery but not in Google Photos, where they’re frozen. Samsung has varied its price points based on the value, hardware and functions on offer. The S10 with 128 gigabytes of memory costs US$899 and the 512 GB version US$1,149. For an extra premium, you can get the S10+ with a ceramic back that is said to be less breakable than glass. With 1 terabytes of memory, it costs almost US$1,600 in the US and with 512 GB it drops to US$1,249. Galaxy S10 up close :Testing out Samsung’s new family of anti-iPhones 0 out of 5 based on 0 ratings. 0 user reviews.